Chocolate Pudding! | I Am Not A Restaurant! Notes: lazy chefs (me) use chocolate chips. If it's not smooth enough, push all the ingredients through a sieve after blending, then chill. 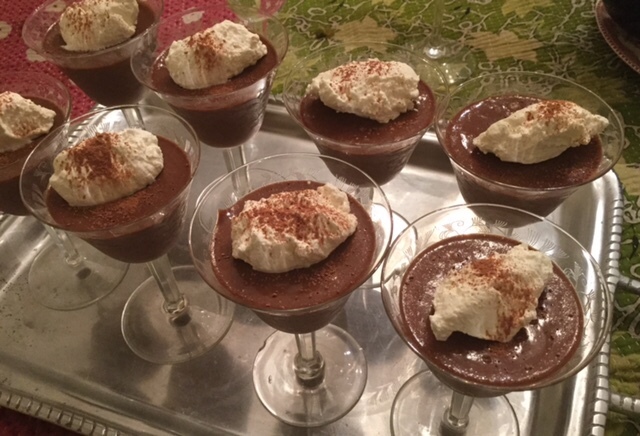 Mar1March 1, 2016 • By Betsy Karetnick • This entry was posted in Dessert, Dish of the Day, Kitchen Help, pudding and tagged chocolate, chocolate chip, Food Network, meringue, Pot de creme, pudding. Bookmark the permalink.